Allison Kasirer has a humor and smarts about her that makes you feel proud to be in her company. 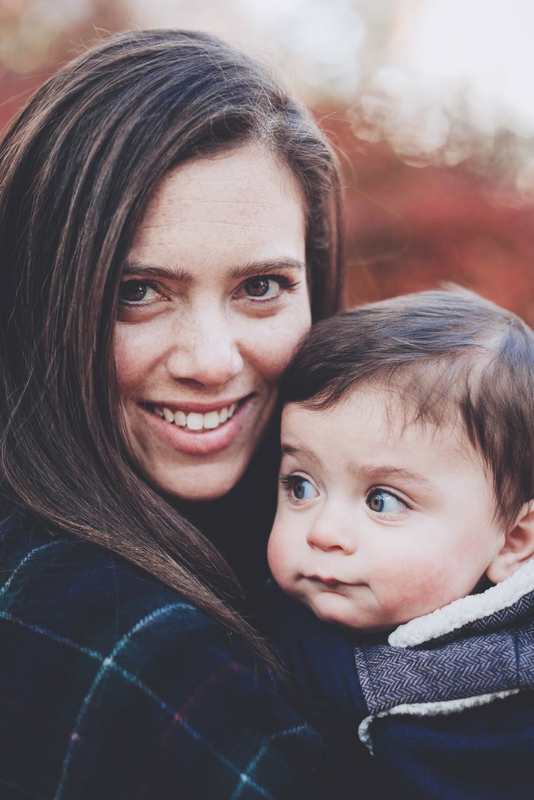 She's the founder of the brand, Fertile Girl, which she started amidst her own fertility journey to open up the conversation and support the process with a line of nutrition products. Alongside her fertility experience, she made her own set of adjustments in her career to focus on taking care of herself. She's open about that choice being unexpected after establishing her seniority in a career in finance following an undergraduate degree from UPenn. Allison built a brand on honesty and she offers that in her take below on how stepping away was not only right for that moment but led her to building something personal and impactful that affords her the flexibility to, as she calls it, "mother herself" alongside her twin boys. Q HOW DID YOU CHANGE AFTER BECOMING A MOTHER? My journey to motherhood was a bit longer and more challenging. We ended up getting pregnant with our twin boys with the help of IVF coupled with important lifestyle changes I made along the way. The most important decision I made during that time (when trying to conceive) was to start mothering myself. Therefore, I felt myself changing as a person way before I actually became a mother. I started to prioritize health, wellness, and self-care in a way that I never did before. It also ended up leading to a decision to step away from my role at J.P. Morgan (something I never thought would happen). All that being said, I had a somewhat difficult time with the transition to motherhood when it did actually happen. Because I was so focused on getting pregnant for so long, it was very hard for me to picture physically holding a baby in my arms. We also didn’t find out the twins’ genders during the pregnancy so that also hindered the visualization process. I later learned that this feeling is common amongst women who have trouble conceiving. Now that I’ve had more time to process all of my feelings and make necessary adjustments, I feel very much “like myself” again only my heart feels even bigger than it did before. Q WHAT CHOICES DID YOU MAKE TO ACCOMMODATE MOTHERHOOD? WOULD YOU MAKE THEM AGAIN? As referenced above, I left a very promising career at J.P. Morgan. I had risen to the level of Vice President and had my own book of business to manage. At one time, I was very passionate about breaking the glass ceiling and managing a group there one day. When we started having trouble getting pregnant, it really turned my world upside down. It wasn’t possible to see the fertility doctor every morning and also be on a 6am flight to go see a client. At the time, stepping away was very scary as it felt that I had wrapped up so much of my identity in being this Wall Street woman. Looking back now, it was one of the best decisions I ever made. I found a true passion, made a career out of it, and am able to make my own schedule to be there for my boys. Q DESCRIBE YOURSELF AS A MOTHER IN 3 WORDS. WHAT KIND OF MOTHER WOULD YOU LIKE TO BE? Respected. I aspire to be a mother that my children respect and inspire them to be good human beings. I live with 3 boys, is it ok to want to be the queen? Silly. I’d like to tap into my inner child when I’m with them and be silly when possible. As a kid, I was a true free spirit. I love that I get to relive some of that throughout their childhood. Informed. Eventually, I want to have smart discussions at the dinner table. I want my kids to ask me questions about the world. I want to be informed enough to have a view on global issues and be able to talk about them as a family. Q HOW DO YOU TAKE CARE OF YOURSELF OUTSIDE OF MOTHERHOOD? I think mothering yourself is so important. It’s something I talk about all the time. Every day and week is different for me. Sometimes it means sleeping in, sometimes it means going to a spin class. Sometimes it means getting a manicure, buying something beautiful for myself, seeing a therapist, going to acupuncture, having a girls night out, etc. The list goes on and on. I really try to listen to my instincts and give her what she needs! Q EVERY MOTHER NEEDS HELP TO FIND BALANCE. WHAT DOES YOUR VILLAGE LOOK LIKE? My husband is a true partner. We are 50/50. He changes a diaper, I change a diaper. He cooks dinner, I clean. He buys groceries, I buy toiletries and household items. We take turns being “on duty” every other morning so the other person can exercise. As a young woman, visualizing what my husband would be like one day, I think I underestimated how important that type of partnership would be. Our parents are amazing grandparents and all incredibly helpful with the boys. We live closer to my parents, so they end up babysitting a fair bit. If we call and need their help, they drop everything to be there. Because we both work, we have full-time child care. Our nanny is wonderful with the boys, and I trust her completely to care for them in our absence. We also hired someone to help clean the house on a weekly basis. Q WHAT ARE YOU WORKING ON IMPROVING ABOUT YOURSELF AS A WOMAN & A MOTHER? I still fall victim to “mom guilt” all the time. I wish I didn’t. I really do. It’s something I am actively working on personally.